The Dong Zhi Men Hospital of BUCM was founded in 1958 and is also located in Beijing, China. The hospital has over 1500 staff members and 860 beds. The hospital integrates scientific research, teaching and medical and nursing care and takes great pride in quality patient care and service. 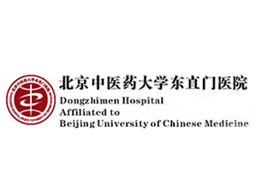 The Dong Zhi Men Hospital serves as the BUCM's base for training, research and medical practice.